Chocolate truffles, with their bite-sized goodness, make them perfect gift options for any occasion. Just make a bunch of truffles on your day off, put it in a box, tie a ribbon around the box and give it to your friends and family. However, what do you do if you don’t have the time and skill to make neat and delicious chocolate truffles? More importantly, what if you want to have your own chocolate truffle stash but don’t want to go through the trouble of making them? Well good for you, you can always buy chocolate truffles from chocolatiers. There are several brands of chocolate truffles out in the market, available at the nearest convenience store or grocery. 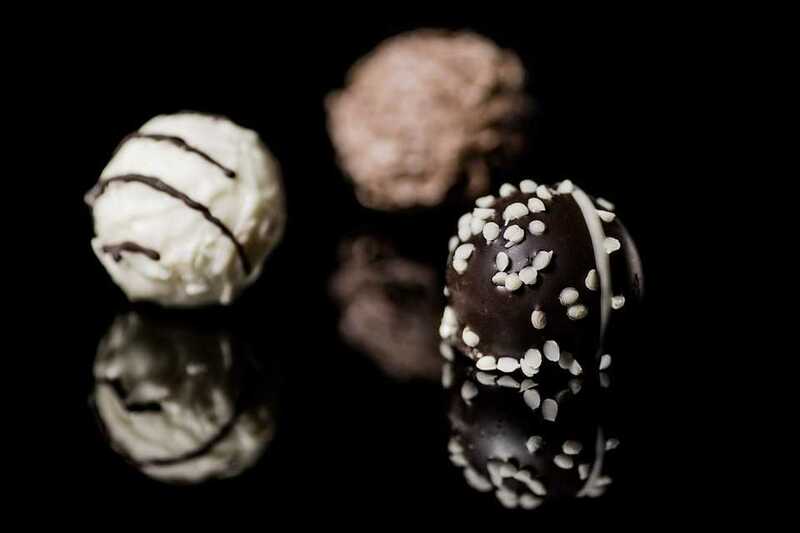 In today’s article, we give you a rundown of known chocolate truffle brands and all the information that you, a consumer, needs to know about them. So what exactly is a truffle? Well, a truffle is made up of a creamy chocolate ganache made by mixing chocolate with either heavy cream or other cream cheese plus other flavors to create a thick and creamy chocolate ganache. The ganache is then covered with either cocoa powder, melted chocolate, nuts and other toppings. Chocolate truffles are in high demand because they are bite-sized treats, meaning they are easy to ration and portion out, so it’s easy to just pop a few truffles into your mouth whenever you feel like having chocolate. It also makes for a good present to other people, because of its small size and variety of flavors. Today we explore popular chocolate truffle brands, from their chocolate-rich history to their flavor offerings. Socola is headed by two talented sisters, Wendy and Susan Lieu. The chocolatier’s humble beginnings started in 2001, when Wendy began to dabble in chocolate treats, but only because she wanted to give hand-made Christmas gifts. However, recipients of the chocolates wanted more. Susan, the younger of the two, did not share Wendy’s talents in cooking, but she was extremely skilled at marketing. When a neighbor suggested they try selling their chocolates, Susan gladly took up the challenge and started promoting their “products”. What started as a summer hobby of selling chocolate truffles at the Downtown Market in Santa Rosa is now a thriving business. 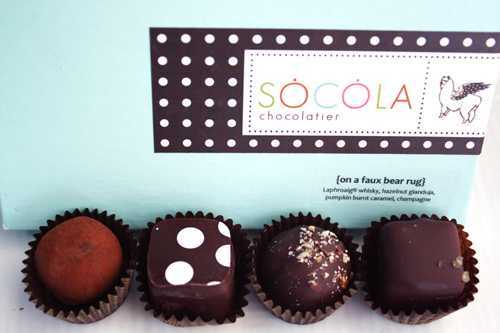 Socola is now known as one of the tastiest chocolate truffle brands in San Francisco. Burnt Baby Burnt - These decadent truffles are made with burnt caramel mixed with red Hawaiian sea salt. The products come in boxes of 4 or 12 square-shaped truffles. Stout Beer Truffles - Rich, dark chocolate ganache mixed with Guinness stout beer. Vietnamese Espresso Chocolate Truffles - The truffle incarnation of Vietnam’s Ca Phe Sua, or Vietnamese espresso. Not only are they tasty, they also give you a much-needed energy boost in the mornings. PB&J Truffles - Your favorite PB&J sandwich turned into a truffle! The truffles contain peanut butter, feuilletine, and strawberry fruit puree. Socola Lover's Dream Chocolate Truffles - One of Socola’s most popular products.This is the absolute best gift set you can give to anybody who loves chocolate truffles. The set includes a 2-piece box, a 4-piece box, and 2 12-piece boxes, all filled with different flavors of Socola’s best truffles. The set comes with 1 free 4-piece box for a total of 34 pcs of premium chocolate truffles. Though Socola is small in size (it’s still a sororal enterprise to this day), it has garnered a 4-star award, the award given to superior chocolatiers, by the International Chocolate Salon. Their chocolates are all-natural, making use of local ingredients whenever possible, which is evident in their guava and passion fruit truffles. If anything, the only downside to their amazing creations is that due to its small size, finding the flavors you like might be difficult. Indeed, if you look at their website, many items have limited stock, with some flavors going out of stock quickly. If you want to sample their chocolate truffles, you can visit their store at 535 Folsom St (between 1st & 2nd St) San Francisco, California 94105 or call them up at (415) 400-4071. If you want to look at their gallery of chocolate truffles for sale, you can check out their website here. When it comes to Belgian chocolate truffles brands, everyone knows Leonidas chocolates. With several importers across the globe, it’s hard to believe Leonidas started as a small chocolate retail store in Brussels in the 1950s. Duchateau US Ltd brought Leonidas chocolates to the US and built the first Leonidas chocolate store in Madison Avenue on New York City in 1991. Leonidas Chocolate General Assortment - As its name suggests, this is a sampling of Leonidas’ general chocolate products. The box contains a combination of chocolate truffles and pralines, made with the freshest cream. Leonidas Dark Chocolate Assortment - similar to the chocolate general assortment, except the truffles and pralines in this collection are made from dark, bittersweet chocolate. Most of Leonidas’ offerings tread the line between truffles and pralines, so it would be hard to find them if you’re looking for truffles chocolate brands. Their selections are pretty limited when it comes to flavors, as they prefer to stick to traditional flavors. If you want to sample their chocolates, you can find their product catalog here. Additionally, you can visit their office at 3 Hanover Square, New York, NY. You can call them at 800-900-CHOC (2462). Delicia is one of the commercial brands under Witor’s Chocolates. The Witor’s family is home to many brands, all experts at creating and distributing a variety of decadent chocolate desserts. They have a wide range of products, from commercial counter chocolates to luxury artisan chocolates. All in all, the entire Witor’s network distributes to 70 nations worldwide and is now known as Italy’s third largest producer of chocolate products. DELiCiA Chocolate Truffles - This gift set comes in the form of a 450-gram jar. The jar contains three flavors of DELiCiA chocolate truffles: dark chocolate, milk chocolate with hazelnut, and milk chocolate with milk cream. DELiCiA is one of the best truffle chocolate brands available commercially. It’s affordable and easily accessible, unlike other truffle brands. The only downside is that there isn’t a lot of varieties when it comes to flavors. The only difference between DELiCiA products is the shape and size of the jars that the truffles are packed in. Most sets contain the same three flavors. DELiCIA shares the same address as the entire Witor’s Chocolates network at Via Levata n. 226010 Corte dè Frati. You can call them at +39 0372 930311 or send them an email at info@witors.it. Godiva Chocolates was founded by expert chocolatier Joseph Draps 1926. He named his new chocolate brand after a courageous, noble English lady who lived in the 11th century, who he felt embodied everything his chocolates stood for. True to its namesake, Godiva chocolates are fearless when it comes to flavor experimentation, while keeping an aura of nobility and richness. From its first chocolate shop in Grand Place square in Brussels, Godiva now has 450 stores across the globe, making it one of the largest truffle chocolate brands in the world. 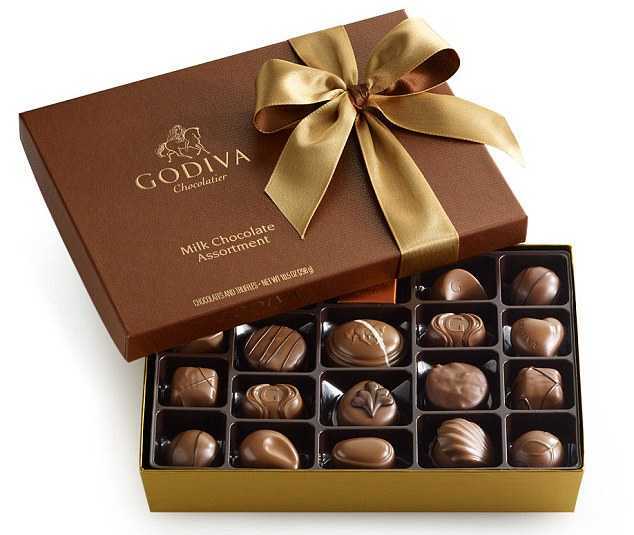 Godiva is known as one of the many chocolate truffles brands that offer a wide variety of products. Their truffle products are so many that reviewing them all would make it long enough to garner its own article. We’ll give you a rundown of their most popular flavors. Happy Birthday Cake Truffle Flight - This 6-piece gift box is the perfect gift to celebrate a person’s special day. The box includes a combination of traditional and unique flavors like Pineapple Hummingbird, Birthday Cake, Chocolate Lava Cake, Red Velvet Cake, Lemon Chiffon, and Cheesecake. Dark Chocolate Truffles - an assortment of truffle flavors mixed together with decadent, rich dark chocolate. These boxes are available in 12 and 24-piece boxes. This includes traditional flavors like cappuccino, classic extra dark chocolate, and chocolate souffle as well as newer flavors like black forest, Aztec spice, and salted caramel. Ultimate Dessert Truffles Gift Box - This 12-piece gift box contains signature truffle flavors that were inspired by different desserts around the globe. Flavors in this assorted box include Tiramisu, Red velvet, Crème Brulee, Strawberry Crème Tarte, Carrot Cake and much more. Ice Cream Parlor Truffle Flight - This 6-piece gift set is ice cream themed, meaning the truffle flavors take after popular ice cream flavors. This is a good present for ice cream lovers who want to taste their favorite flavors in truffle form. Flavors in this gift set include Cookie Dough Cake, Dark Chocolate Vanilla Mousse, Rocky Road Ice Cream, Neapolitan Ice Cream, Pistachio Ice Cream and Double Dark Chocolate Truffle. Nut Lovers Truffle Flight - Nut lovers will enjoy this assortment of chocolate truffles sprinkled and filled with different nuts. This 6-piece gift set includes the following flavors: Pecan Caramel, Hazelnut Crunch, Salted Almond, Pistachio,Maple Walnut, and Butterscotch Walnut. Aside from delivering high-quality chocolate products, Godiva is also a socially-responsible chocolate truffle brand. In 2012, it launched the Lady Godiva Program, which supported and recognized women across the globe who embodied the values that made Lady Godiva great. The company honored women who showed exemplary leadership qualities, generosity, and charity. If anything, the only downside of Godiva chocolates is that they’re not commercially priced. They’re more expensive than counter quality chocolate, but this just makes receiving Godiva chocolates all the more special. If you’re interested in their products, you can check out their product catalog here, or you can call them at 800-946-3482. 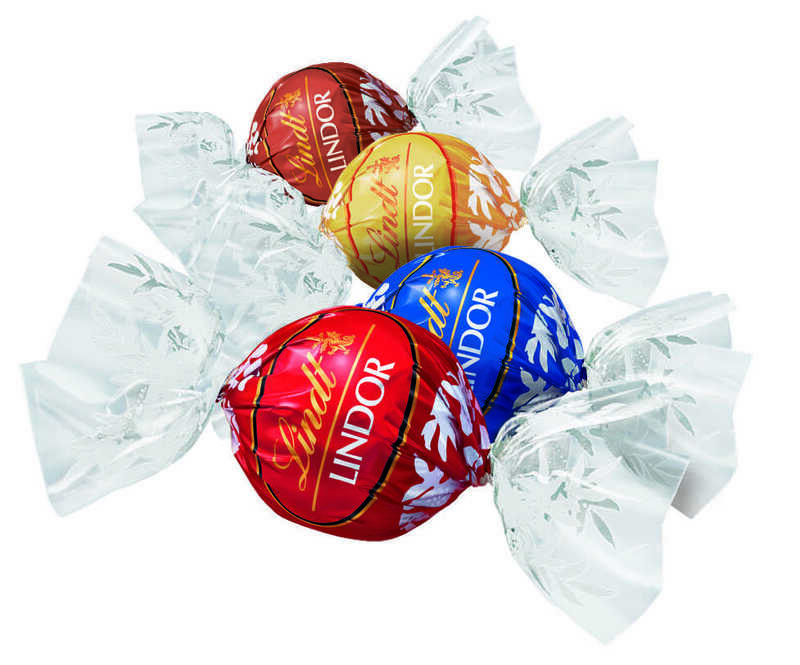 Lindor is one of the many chocolate truffles brand names under the Lindt chocolate empire. The Lindt chocolate empire began in 1845 when the father-son team of David Sprüngli-Schwarz and Rudolf Sprüngli-Ammann decided to experiment on new chocolate recipes. The two chocolatiers invented several chocolate melting and creation techniques that chocolatiers of the present time follow and emulate. It wasn’t until 1949 that Lindt introduced their Lindor line of products. The product line was supposed to focus on decadent chocolate-covered balls with filling that practically melts in your mouth as soon as you bite into them. Extra Dark LINDOR Truffles - This gift bag contains 75 pieces of truffles in delicious 60% extra dark chocolate flavor. Ultimate 8-Flavor Assortment LINDOR Truffles - The best gift bag for anyone who loves chocolate truffles. This product contains 75 pieces of truffles in 8 various, best-selling flavors. The flavors included in this pack are some of the most loved flavors of Lindor, including Dark chocolate, Milk chocolate, white chocolate, extra dark chocolate, sea salt, caramel, hazelnut, and Stracciatella. Coffee LINDOR Truffles - Coffee lovers will adore this 28-piece gift bag filled with decadent truffles made with 60% dark chocolate mixed with rich-tasting coffee flavors. Hazelnut LINDOR Truffles - Hazelnut gives the traditional chocolate truffles a buttery and nutty flavor, making it even better. This 28-piece gift bag contains the smoothest and richest hazelnut truffles you’ll ever taste. Additionally, Lindor offers customized gift packs where you can pick which flavors you want to go into your own pack. Lindor chocolates are readily available everywhere, from retail stores like Walmart to online stores like Amazon and eBay. You can purchase chocolates straight from their website here. They have several stores all across the US, but their main headquarters is in 400 South Wilson Road, Suite 999 Sunbury, Ohio. You can call them up at their hotline at +1 877 695 4638. The history of Guylian chocolate is surprisingly, a love story. Belgian Chocolatier Guy Fouber met the love of his life Lilian, who he eventually married in 1958. To celebrate the amalgamation of their love for chocolates and their individual talents, they created Guylian, which is a combination of both their names. Guy developed the first in-house recipe, which is still used to this day. Lilian is in charge of the exterior and sculpting the chocolate into the iconic sea shell and seahorse shapes we see today. Today, their chocolates are now sold in more than 120 countries across the globe. Both the chocolate truffles brand and its products have won several awards throughout the years, including iTQi’s Superior Taste Awards and Candy Buyer USA Award for Product of the Year. La Trufflina - Known for their soft, creamy milk centers with a rich chocolatey coating. These deluxe truffles come in three flavors: milk chocolate, white chocolate, and dark chocolate. Each truffle is topped with chocolate shavings and placed inside quaint little paper cups. These classic La Trufflina boxes can be bought in packs of 8, 16 and 32 pieces. Milk Truffle - Truffles made from the finest Belgian milk chocolate, with creamy Belgian milk filling. These truffles are shaped into the classic seahorse shapes that Guylian is known for. This product is available in 8 and 16 piece boxes. Cocoa Dusted Truffles - One of Guylian’s oldest chocolate recipes, this truffle is made from rich Belgian milk chocolate for both the coatings and the ganache. The truffle is then dusted with premium Belgian cocoa powder. One of the first truffles that Guy and Lilian made, only the packaging has changed throughout the years. Perlines - The tasty marriage of hazelnut praline and rich milk chocolate truffles coated with premium white, dark, or milk chocolate. Chocolate streaks decorate the tops of these praline-truffles. From the very start, Guylian used seahorses as a mascot for their products, as you can clearly see on their logo. The couple’s love for seahorses, coupled with their love for chocolate has resulted in them sponsoring the Seahorse Project as a way of giving back to the environment. Guylian has been partnered with Project Seahorse since 1999 and their partnership continues to stay strong to this day. Project Seahorse is a worldwide effort to spread awareness and support for marine conservation. The project’s main goals are seahorse conservation, creating sustainable fisheries, and to develop marine trade and industries that are not only sustainable but also protective of marine life. Guylian is a commercial counter-type chocolate product, which means it’s available in most convenience stores and groceries. This has made the product more popular with the masses because of its affordability and accessibility. The only problem with Guylian truffles is that there’s no variety in their products when it comes to truffles. Truffle flavors come in only 3 flavors, and these are very common in the truffle world. 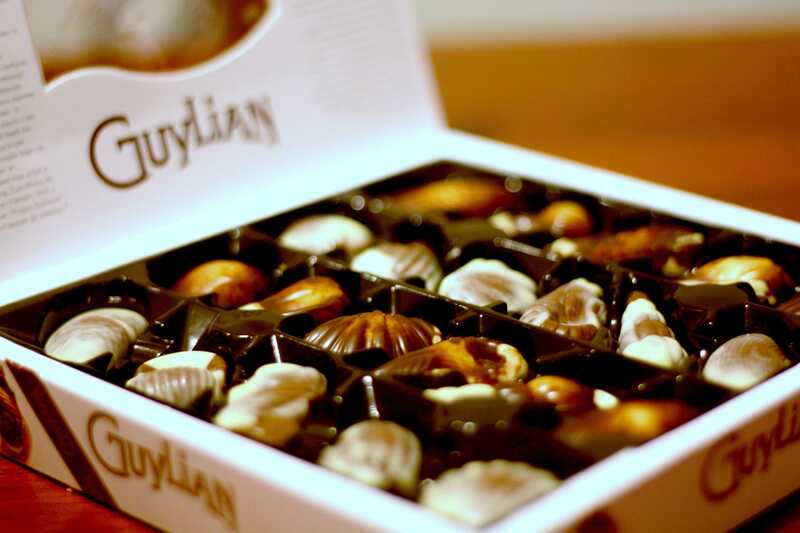 It’s understandable, though since Guylian focuses more on pralines and other chocolate products. For more of Guylian’s amazing chocolate creations, you can check out their website here. Their main office is located at Europark-Oost 1 9100 Sint-Niklaas, Belgium. Their US office is at 560 Sylvan Avenue, Suite 2105 Englewood Cliﬀs, New Jersey 07632. You can call them at 1-800-803-4123. No Whey Chocolate was originally called Premium Chocolatiers, and as the name implies, they specialize in creating vegan and lactose intolerant-friendly chocolate truffles. The entire company is built on the premise that everyone should enjoy the decadent taste of chocolate, even people who have food allergies, vegans and lactose-intolerant. Their chocolates are made from all-natural ingredients without diminishing their amazing taste. No Whey Chocolates guarantee that all their products are Vegan, Dairy Free, All Natural, Lactose Free, Milk Free, Nut Free, Soy Free, Egg Free, Gluten Free and Wheat Free. Signature Truffle Collection - Contains an assortment of flavors offered by No Whey Chocolates, and comes in either 15 or 28 pieces per box. By their taste, you’ll never guess that they were completely vegan. Flavors included in the collection are Fudge, Grand Marnier, Coffee, Salted Caramel and Raspberry. Strawberry Heart Creams - 15 pieces of decadent, rich strawberry cream centers coated with dairy-free semi-sweet chocolate. Mint Cremes - Delectable non-dairy semi-sweet chocolate with a creamy, minty center. Comes in boxes of 15 pieces. Sea Salt Caramels - this 15-piece box contains rich dairy-free caramel filling, coated with semi-sweet chocolate mixed with a bit of sea salt. The rich filling practically melts in your mouth, and the chocolate coating tastes as good as regular chocolate - maybe even better! No Whey Chocolate’s campaign on creating allergy-safe milk chocolate has come a long way. Most people substituted dark chocolate for milk chocolate to make it safe for people with lactose intolerance. No Whey Chocolates however, didn’t want to settle and wanted to build a non-dairy alternative to milk chocolate itself. Their first batches used soy instead of cream, but soy in itself is an allergen for many people. Through the years they continued to refine their recipe until 2016, when they finally achieved the perfect recipe which is completely safe for people with the 8 most common allergies. Their products are also safe for Kosher-conscious people, vegans, vegetarians, and lactose intolerant people. If you want to order their Vegan chocolates, you can check out their product line here. Their office is located in Lakewood, New Jersey, and you can call them up at 732 806 5218. The Ghirardelli brand was founded by Domingo Ghirardelli, who came to San Francisco amidst the Gold Rush era. He wasn’t there for gold, instead, he started building his chocolate empire in one of the many mining camps. He built a store which catered to miners, and soon discovered that miners craved for the luxuries of life as a respite from their hard work. Since then Ghirardelli started selling chocolate delicacies. The Ghirardelli Chocolate Company was built in 1852, signaling the start of the Ghirardelli chocolate empire. 160 years later, Ghirardelli is one of the most popular commercial chocolate brands in the world, owning several ice cream and chocolate stores in the US. Although the company itself doesn't’ sell truffles, Ghirardelli chocolate truffles are known throughout the world, which earns the company a spot on our list. On the website you will see recipes for chocolate truffles that use the Ghirardelli brand. While Ghirardelli doesn’t make the truffles themselves, these recipes are used worldwide, and a lot of chocolatiers and truffle sellers use Ghirardelli chocolates in making their truffles. The Ghirardelli recipe is known worldwide and if you want to make some yourself, here are some of the products listed on the Ghirardelli original truffle recipe. 60% Cacao Bittersweet Chocolate Premium Baking Bar - a staple when it comes to making dark chocolate truffles, this baking bar melts and blends easily with other ingredients. Use it as a ganache or a coating to your next batch of truffles. Semi-Sweet Chocolate Baking Chips - the classic Ghirardelli truffle recipe calls for semi-sweet chocolate baking chips. These are not only for baking chocolate chip cookies, they are also great for melting chocolate because of their small size. The chips are made from premium cocoa butter and make any truffle recipe all the more decadent and rich-tasting. Sweet Ground Cocoa - Feel like your chocolate ganache balls lack a finishing touch, this sweet ground cocoa from Ghirardelli is the perfect topping to roll your ganaches in. Not only will it set your truffles, meaning they will be less messy, but it also tastes divine! Classic White Baking Chips - When you need to make your tasty white chocolate truffles, following Ghirardelli’s classic recipe, you need to use their classic white baking chips for the best results. These baking chips have the right balance of milk and vanilla to offer the smoothest and richest tasting ganaches and truffle coatings. 100% Cacao Unsweetened Chocolate Premium Baking Bar - If Ghirardelli dark chocolate truffles are not enough for you, you can make extra rich chocolate truffles with this pure unsweetened chocolate premium baking bar. Unadulterated and intense chocolate flavor will make your homemade chocolate truffles seem like it was done by professional chocolatiers. Ghirardelli actually shares the same network as Lindor. Both brands are part of the Lindt & Sprüngl chocolate empire. Aside from its chocolate truffle recipes and baking products, Ghirardelli also has professional products like hot fudge, sauces, and even chocolate meant specifically for coating, so you can make your own commercial-grade truffles and other chocolate treats that you can even sell. If you want to start making your own truffles, you can check out Ghirardelli’s truffle recipes, and you can check out their products here. Their main office is located at 1111 139th Ave San Leandro, California, and you can call them up at 1-800-877-9338. We’ve just mentioned a lot of great chocolate truffle brands; however, let us reiterate that there is no single best chocolate truffles brand. All of them have their strong points and weak points. For one, Socola is probably the smallest chocolate truffle brand on the list, and their chocolates are not available commercially, but they make great chocolate truffle designs and all their boxes are aesthetically pleasing. If you’re looking for unique and crazy flavors, Godiva is the way to go. Although it’s more expensive than other chocolate truffles, it’s the best when it comes to chocolate flavor variety. With flavor names like Birthday cake and Aztec Spice, you know you’re in for some rare treats. Lindor comes second when it comes to commercially-available flavor variety, but what sets it apart is the fact that you can just buy Lindor truffles by the bulk. The company offers 550-piece bags that you can even customize, meaning you get to choose the flavors included. Imagine a secret stash of 550 truffles just waiting for you. Delicia may not have a lot of variety when it comes to chocolate truffle flavors, but it is the most commercially available and the most affordable out of the many brands mentioned. If this is your first foray into chocolate truffles, then you might want to start with Delicia and its traditional flavors. It’s the cheapest, so it’s perfect for people who are on a tight budget, but still want to satisfy their chocolate truffle craving. No Whey Chocolate may not be very well known, but it is heaven sent for those who know about them. If you are not allowed to have regular chocolates for a number of reasons (lactose intolerance, allergies, etc. ), you will be happy to know that despite your condition, you can still enjoy chocolate treats just like a regular person! The company’s truffles are the best when it comes to being considerate of people’s lifestyle choices or medical conditions when making their chocolate truffles. If you can’t choose between one chocolate truffle brand, well to that I say, why should you? There’s no reason why you should just limit yourself to one chocolate truffle brand. Try them all, that is certainly the tastiest and most satisfying way to decide which chocolate truffle brand is the best for you.